The unambiguous message of the by-elections in Uttar Pradesh and Bihar is that Prime Minister Narendra Modi is not only the biggest vote-catcher for the BJP, he is the only one. If you remove Modi from any election campaign, the BJP loses its marbles squarely. 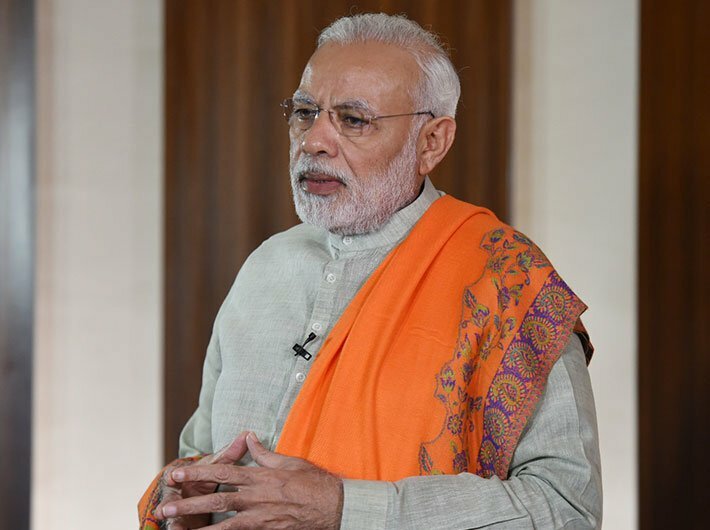 Despite undertaking a massive organisational expansion, Modi’s absence from the scene makes the party’s cadre an unguided force which may work to the detriment of the party. The fact that the party lacks regional leaders of stature in UP and Bihar who can mobilise the cadre and public opinion is once again reaffirmed in the by-poll verdicts. The fall of what is considered a saffron citadel, Gorakhpur, has clearly belied the unreasonable expectations that UP Chief Minister Yogi Adityanath had begun nursing about himself, of being a mass leader. The electorate of Gorakhpur dashed Yogi’s hopes not only by choosing a political alternative but also by remaining indifferent to his appeals. The low turnout for polling was an indication of this. Similarly, the party’s drubbing in the Phulpur Lok Sabha seat, earlier held by deputy chief minister Keshav Prasad Maurya who is considered a powerful OBC regional satrap, has proved it beyond doubt that bereft of Modi, the BJP is far less than a match to the guile and craftiness of regional players. For instance, the BJP did try to wean away Muslim votes by indirectly propping up mafia don Atiq Ahmed. But the strategy backfired as Muslims refused to bite the bait. Similarly, in the Araria constituency of Bihar, the fight was unequal right from the word go. The sympathy wave in favour of RJD candidate Sarfaraz Alam, son of Mohammed Taslimuddin whose death had necessitated the by-poll, consolidated further following the incarceration of Lalu Prasad Yadav. The Muslim-Yadav combine of the constituency was enough of a support base to sail the RJD through. Obviously, it would be rather naïve to read these verdicts as precursor of an imminent downfall of the BJP. By-elections hardly set a national trend. But it would be equally foolish to dismiss the results as inconsequential so far as the national elections in 2019 are concerned. Of course, the BJP leadership would be living in a make-believe world if they ignore the glee with which the party’s cadre reacted to its defeats in three by-elections. For instance, a large section of the party workers in Gorakhpur silently celebrated the defeat as it would crush the larger-than-life egos of local BJP leaders, including the chief minister. That is the precise reason why Brahmins, a dominant social segment, drifted away from the BJP and chose indifference. In Gorakhpur’s politics, Mahant Yogi Adityanath is seen to be taking the side of Rajputs. With his ascension as chief minister, Yogi has still not been able to dispel this firmly entrenched impression about him. That is a cause for worry. Similarly, the manner in which Maurya conducted himself since his election as MP from Phulpur in 2014 is frowned upon by the electorate. His subsequent elevation as the BJP’s state chief was seen as the party’s plan to reach out to non-Yadav OBCs. After the UP assembly elections, he was made deputy chief minister in the fond hope that he would keep the flock of backward classes intact for the party. His abysmal failure to retain his support base even in his home turf was also indicative of the fact that he was far removed from the ground reality. Till the day of counting, Maurya was boasting of winning the election hands down. Obviously, the BJP’s vulnerability when the elections are fought on the local issues is quite evident. There is no doubt that the SP-BSP combine presents a formidable social coalition and if it continues, it will pose a stiff challenge to the BJP in the 2019 Lok Sabha elections. Apparently the BJP would put trust in political efficacy of Modi’s magic which found resonance in 2014. And there is hardly any sign of depletion in Modi’s magic at the national level. Given the fact that an incompatible and mutually hostile political coalition of sundry discredited regional players is coming up to defeat Modi, it may give enough political space for Modi to reinvent himself in the epic image of an ‘Abhimanyu besieged by evil forces’. Given the level of trust the prime minister enjoys, he is unlikely to be a pushover like Yogi or Maurya.